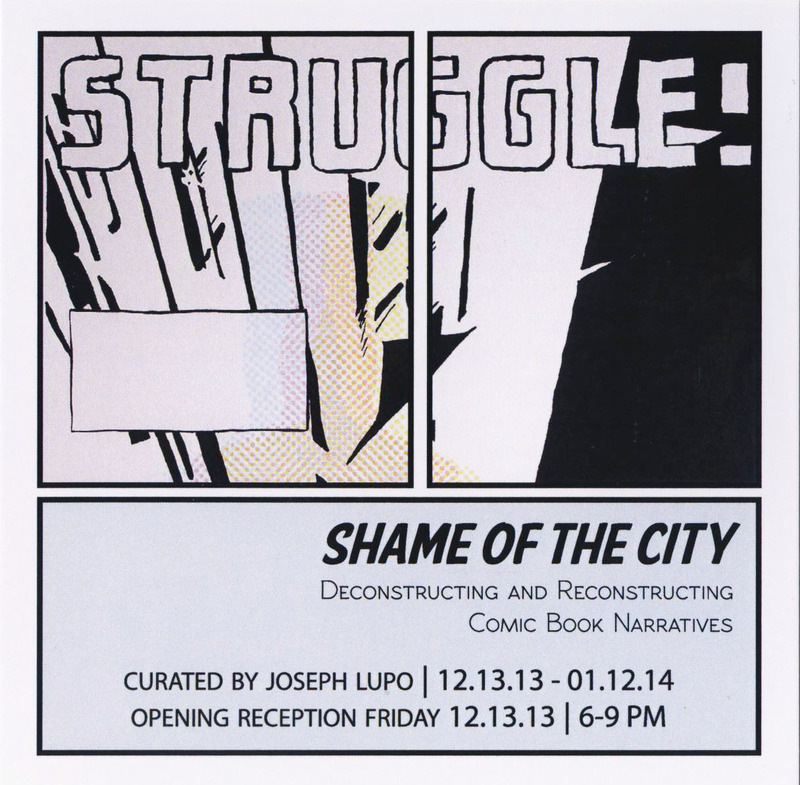 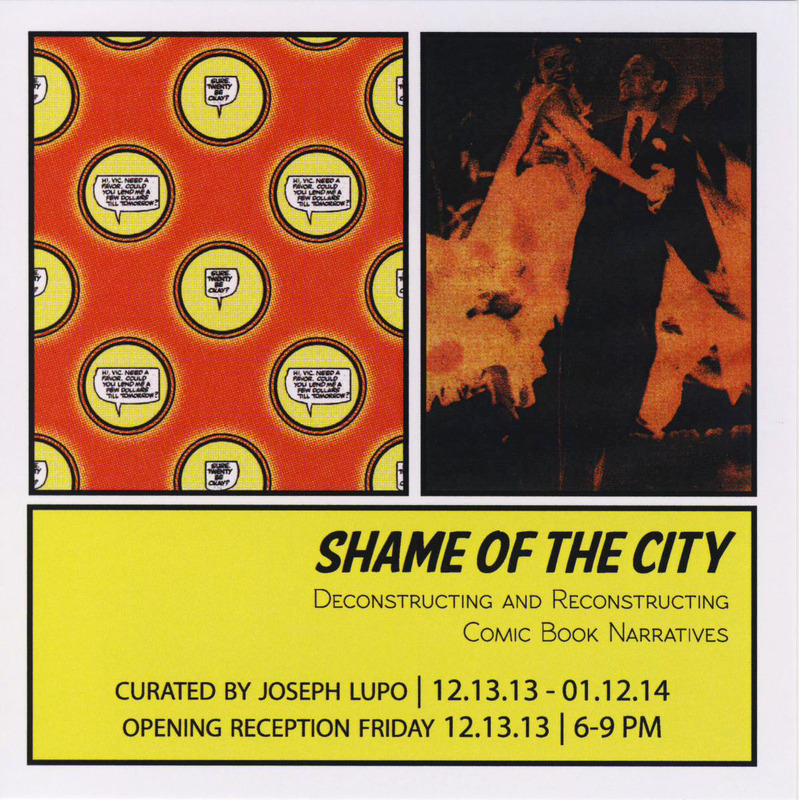 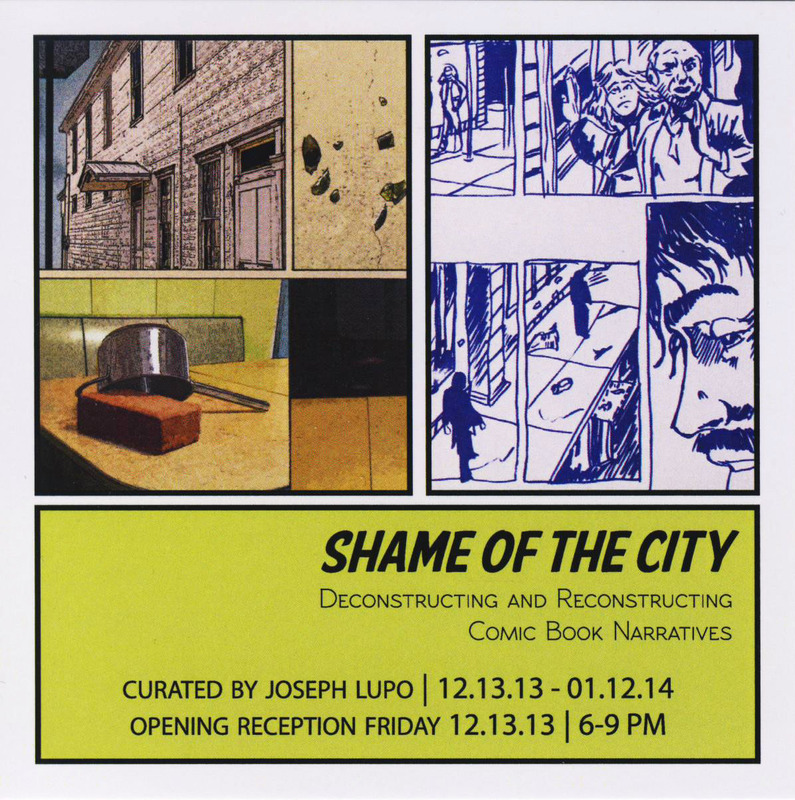 On January 12, 2014 the group exhibition for Future Tenant “SHAME OF THE CITY: Deconstructing and reconstructing comic book narratives” closed. 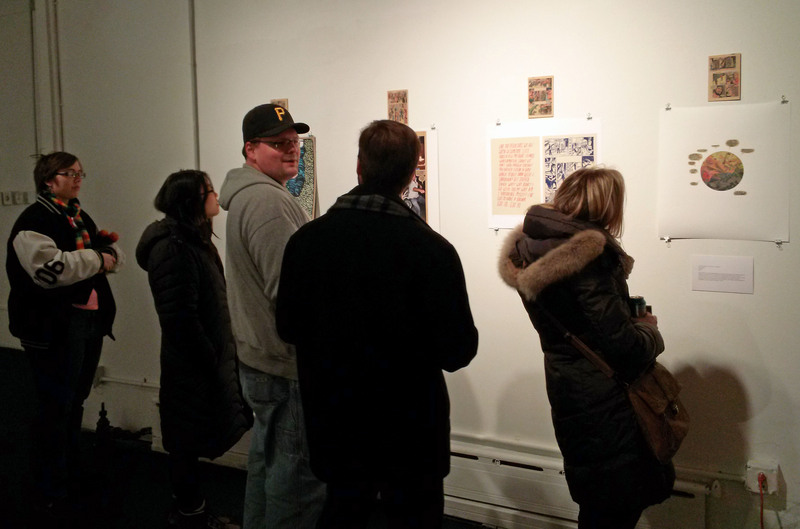 This exhibition featured 23 artists from all over the country (and Canada). 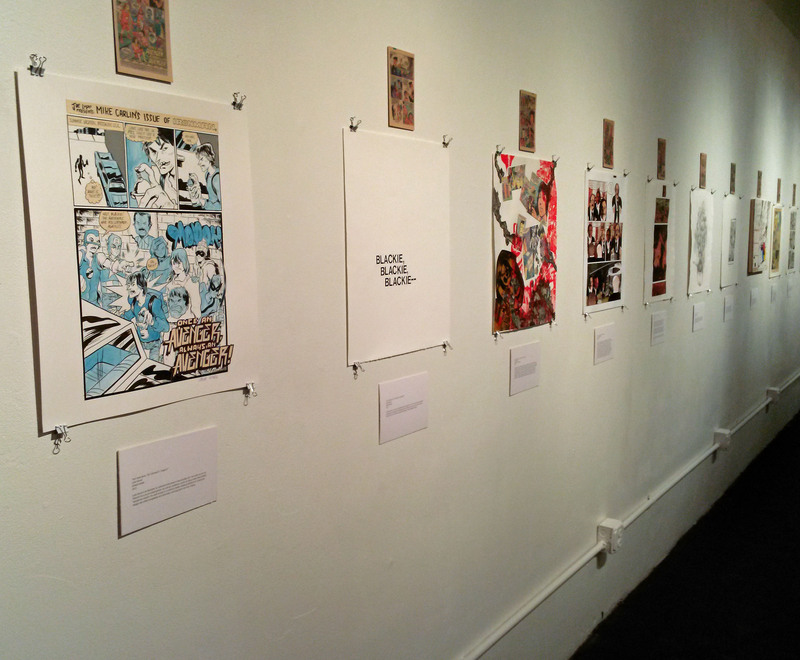 Every artist was assigned a page from the “Iron Man” comic I have been working with and was asked to make new work inspired by the original artwork. 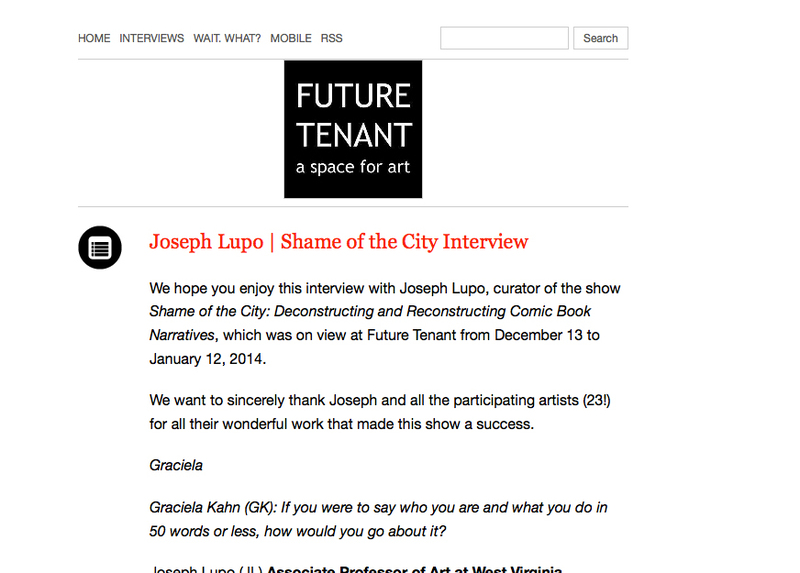 Link to an exit interview for Future Tenant, explaining some of the ideas and process behind the show. 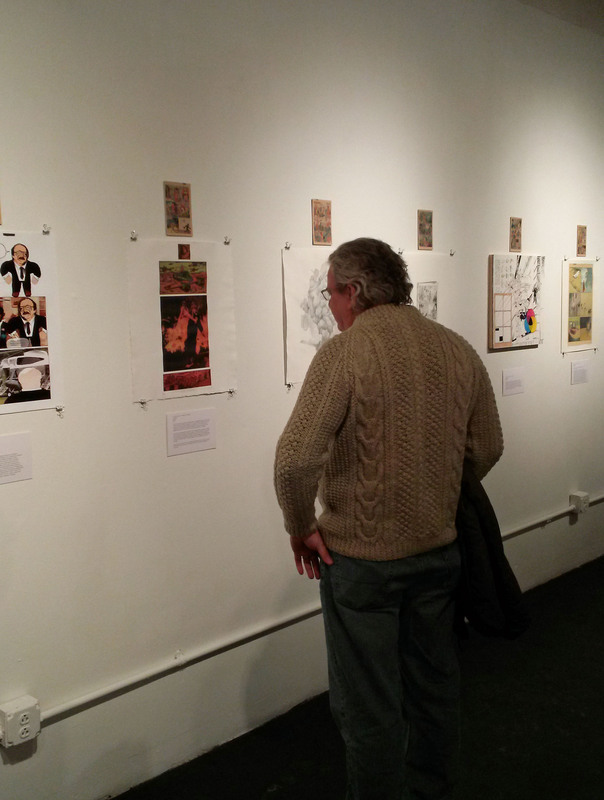 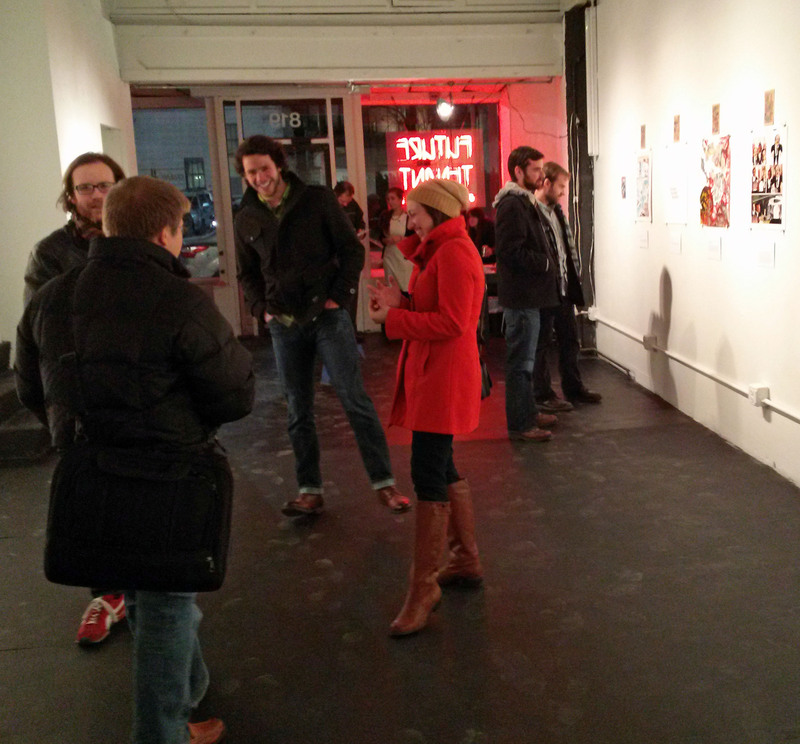 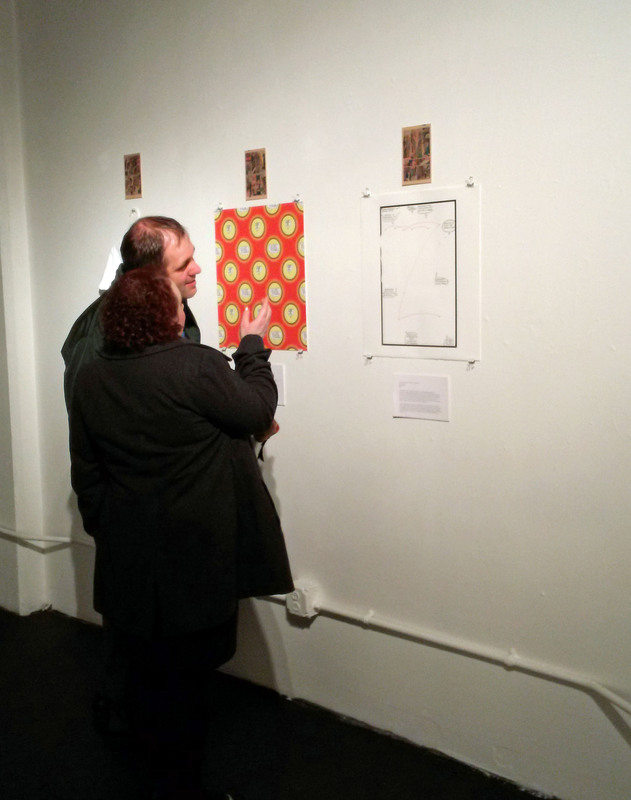 The following is a collection of imagery from the exhibition. 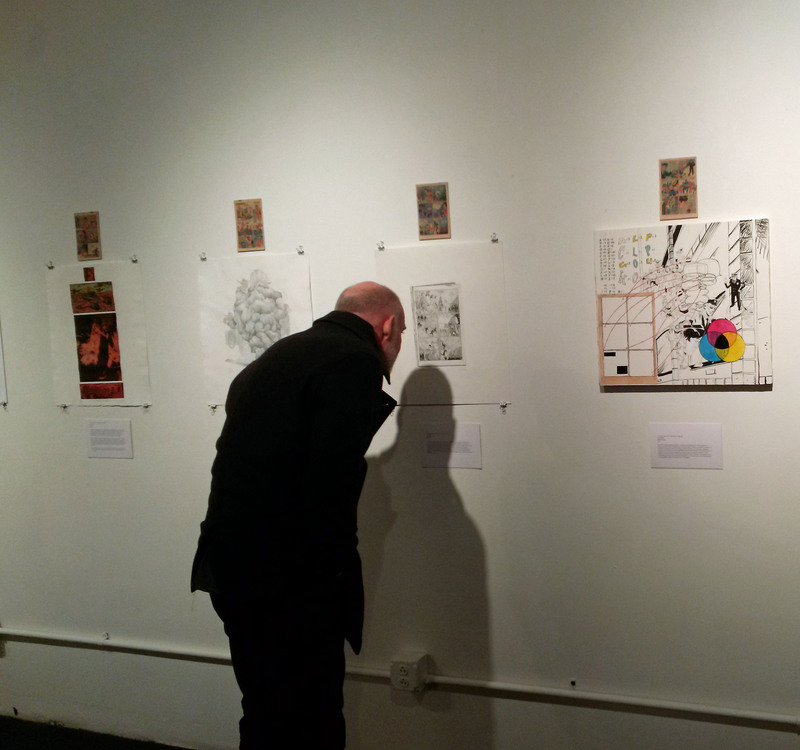 This entire experience could not have gone better. 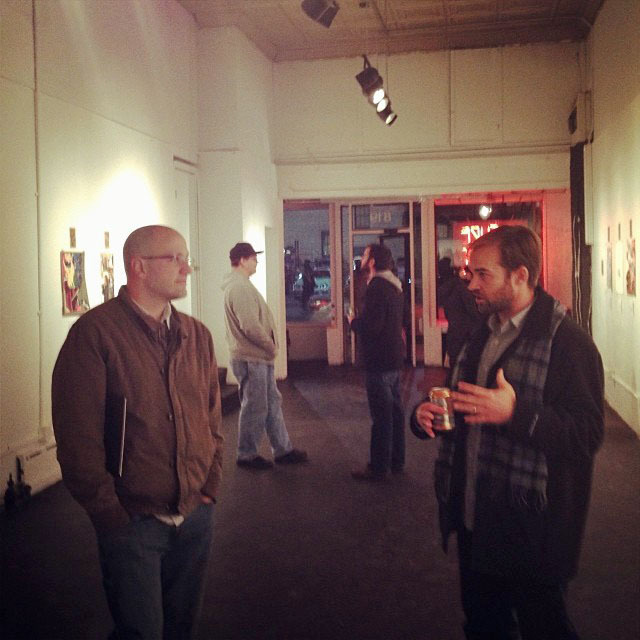 Thank you to everyone at Future Tenant for being supportive and interested in this project, and thank you to all the artists who really stepped it up and made some interesting work.